It’s been awhile since I updated this blog and wrote a book review. I’ve read a couple of very small books since then and they weren’t worth the post. My time has become precious and am trying to read more again with difficulty. I had to write a review for this graphic novel. I had read reviews about this last year and it sounded intriguing with its dark and Asian inspired themes. I loved it. I haven’t been so impressed with a graphic novel in years; it can easily be among my favourite graphic novel series ever which include Alan Moore’s Promethea, Neil Gaiman’s Sandman, and Craig Thompson’s Blankets. I do not read a ton of graphic novels, but I do read a couple every year. For the most part, they are fine and fun, but not memorable or as engaging as the aforementioned novels or Monstress. I loved the visuals by Sana Takeda. It is very dark, but for some reason, it never felt sensationalist or violent and gory for its darkness sake. Every panel and piece of dialogue seemed to deliver story points or character development. I found it one of the most well crafted stories I’ve read in a long time. It is a novel which has predominantly female characters. Feminism is not about injecting women in the media or giving them prominence for the sake of representation. It’s about real characters who happen to be women and have problems associated with it, who are nuanced and three dimensional. There are so many wonderfully drawn characters in this and I wish more things in popular culture were like this work. It’s a story by women about women but it’s a story for everyone who enjoys dark fantasy. There are themes of war, discrimination, genocide, gender, and self-destruction. It is also a story of bravery, friendship, fear, and overcoming it. This graphic novel is fantastic. I can’t wait to read more from the series. I read this book awhile back, but I wanted to share it. It’s a fun manga rendition of Pride and Prejudice by Jane Austen. I enjoy graphic novels and have read a bit of manga in the past, but I haven’t sought it out. I saw this book had a lot of good ratings. Manga is known for is humor as well and there are just a few off hand side moments that are not in canon in this novel. They work rather well. Pride and Prejudice does have silly aspects to it and the manga form plays it up. The adaptation is not over the top though and it captures all the important moments from the novel. This manga is definitely worth the look if you like Pride and Prejudice with some visuals. This steampunk and urban fantasy series is great in manga form. So fun and in many ways, even more hilarious and better than the books since it’s done in this style. I hope this series is popular in Japan too because it definitely would have a market there. The exaggerated expressions and face sweats are typical manga form, but there is also a restraint it in because this is still an action series. I’m enjoying this manga more than I thought. I think people who have not read the books would like them as well as it misses very few details. It even adds many not shown in the book for comic effect. Fun manga and graphic novel series. Regular readers of Beaton’s blog Hark! 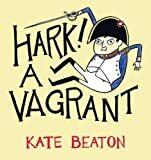 A Vagrant will be familiar with the content in this book, and if you haven’t seen the blog, please check it out. If you like what you see, you can read this lovely book containing comics about literature, comics, history, and often times, Canadian history! In sub categories, there is a fair amount of Feminism and Political History. A few times, her comics are just random out there humor which I also love. Beaton and I have the same interests in all the above. I get and understand almost all of comics in the book and their allusions. It is funny and apt. 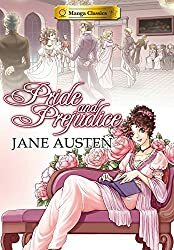 Here are the subjects she tackles in her comics in this book: Jane Austen, the Bronte sisters, Crime & Punishment, Nancy Drew, Batman, various works of Shakespeare, The Great Gatsby, Sherlock Holmes and Watson, and much more. It is whimsical, fun and educational! Read February 26th to March 5th 2013. This review covers the whole series from books 1-5. I quite enjoyed this graphic novel series by Alan Moore, J. H. Williams III, et al. There are style and art changes throughout the series. The story has themes of folklore, mythology, spirituality, magic, and most of all, imagination. It is very epistemological and a bit psychedelic (in the good way). Sometimes, a lot of the concepts went over my head, and it really is a series that requires reread to appreciate all the messages and the beauty. There were many times I did not know where to look as so many things were on the page. It is meticulous and beautifully done. By Book 5, the series gets incredibly meta; it is very cool. I can not really summarise all the ideas of the series, but it is fascinating. I would love to own it and reread it when inspiration strikes. I’ve grown to really love and appreciate Moore’s work, and this may seem like a shift from The Watchmen and V for Vendetta, but at the same time, it is not. He is still spiritually and emotionally evocative in his works. I would highly recommend it to be people who are open to fantasy, epistemology, philosophy, and visual storytelling. Pyongyang: A journey in North Korea is Guy Delisle (a Quebecois, now living in France) graphuc memoir of two months spent working in the North Korean capital for a French animation company outsourcing work to the North Koreans. It is a fascinating look at North Korea and its regime. While he is not in NK for very long, Delisle observes the expat community of NK, and the dictatorial regime’s forceful propaganda machine. All foreigners seem to be kept in a very closed bubble constantly watched by their assigned guides. The author takes a copy of Orwell’s 1984 and observes the parallel. It is apt because the regime seems to permeate in all aspects. It is the most closed country in the world, and it is rather frightening the extent in which the whole population seems to live in a bubble themselves. Without any outside media and severe limited ability to travel and educate themselves, many seem to genuinely believe the personal cult and god-like presence of the Kims even if one of them is dead. The cult of personality is rather creepy. Though there is little choice, but to pretend to believe because the dictatorship has some of the worse human rights violations globally. A lot of what the memoir describes is not creepy. Nothing can last forever, and the NK regime certainly won’t. It will be interesting when that happens since the country is in a time warp. It’s like how people go to Cuba and say it looks the 1950s, but North Korea and its population seem to be still in the 50s since they are limited in communications, food security, electricity, industrialisation and manufacturing. Since the culture is protected is by the government, art is monitored. This is especially significant in that all its neighbours are accelerating at a very fast rate in the globalisation. Having read on North Korea a bit from my studies, I would recommend further reading of the subject if you are intrigued after this short, but interesting read. The two volume omnibus edition of Marjane Satrapi’s graphic memoirs and Bildungsroman of growing up in Iran. I actually did not know about the French edition until too late. As is the case sometimes, I regret not having found the original French version to read especially since I perpetually need to brush up my linguistic abilities. I did see the movie in French. Overall, I found this read immensely enjoyable and wonderful. I love it as much as I love The Complete Maus by Art Spielgman, another identity searching and family history memoirs of conflict. Persepolis was moving, tragic, beautifully drawn, funny, painful, and honest. It is beautiful memoirs of childhood and finding one’s own identity with change and upheaval. I liked all the characters; I could feel for them. I liked young Marji’s spirituality, faith, and religion, and while it was difficult to watch her go through her teen years, I could relate to her in a way I have not for a character in a long time. While I did not live through the political and violent times of war and revolutionnary torn Iran, we have similar family dynamics and other things such as the scene with Marji as waitress that hit home. I often do not cry for movies or books which is quite odd since I can be so sensitive to things. I must admit that the scenes with Marji and her Uncle Anoosh left me verklempt. I read it twice and it affected me, and the film’s scene with it left me in tears. I cannot say why it particularly resonated with me more than some others things, but the scene moves me above so many others. The film is wonderfully done as well, and while it is a condensed version, it still has the same simple yet affective black and white imagery. It has a couple of things the graphic novel does not, and it is nicely voice acted all around. It is harder to find a more truer to the novel adaptation than with Satrapi as the co-writer and co-director of the film. Both are recommended.